National Work Zone Awareness Week for 2018 is April 9-13, and the South Dakota Department of Transportation is teaming up with the Federal Highway Administration (FHWA) and state transportation departments across the country to remind motorists to drive safely through work zones. The department is asking motorists driving through work zones to slow down, give their full attention to the cars and work going on around them, and to expect the unexpected. 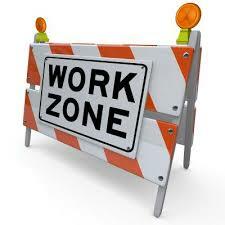 Nationwide, four out of every five work zone fatalities are motorists. To bring even more awareness to work zone safety, the FHWA is asking everyone to wear orange during for “Go Orange for Safety” day on Wednesday, April 11, and to post their safe selfies on social media using the hashtags #orange4safety and #orangeforsafety and tag @SouthDakotaDOT. Stay Alert – Dedicate full attention to the road. Remember, somebody’s loved one is working in that area. Pay Attention – Avoid distracting activities like adjusting the radio and talking or texting on a cell phone.